“As Europe’s favourite airline, we will carry 129m customers this year and continue to be the world’s most visited airline website. The “Always Getting Better” programme, launched over four years ago, continues to go from strength to strength and we are pleased to unveil the 2018 AGB Plan today with an exciting range of environmental, service, digital, and ancillary initiatives. 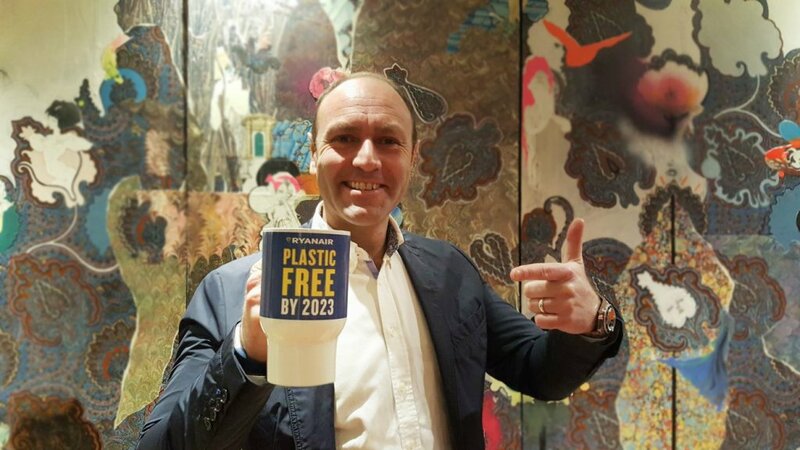 We are very pleased to announce our Environmental plan which includes our commitment to eliminate all non-recyclable plastics from our operations over the next five years. For customers on board, this will mean initiatives such as a switch to wooden cutlery, bio-degradable coffee cups, and the removal of plastics from our range of in-flight products We will also introduce a scheme to allow customers to offset the carbon cost of their flight through a voluntary climate charity donation online. We are also unveiling “Try Somewhere New”, a unique travel hub on the Ryanair website, hosting exclusive travel guides and destination videos in 7 languages.